For eight months, Sue Gladstone’s home in Suburban Boston was a maze of plastic construction sheeting covered in a haze of construction dust. Half of her first floor was off-limits. The stove and the sink were the only things she could access in the kitchen. The refrigerator was in the living room, which was now the only place in the house other than the bedrooms that anyone could go. Her home improvement project involved expanding the kitchen and family room and adding a master bedroom suite to the first floor, and offices and a laundry room in the basement. It was supposed to take five months. It lasted eight. “It just was very stressful when you think you are going to be done at Thanksgiving, and then you are going to be done at Christmas, and then you are hoping for Valentine’s Day,” says Gladstone. But despite the delays, the dust, the close quarters and the frustration of having workers underfoot, Gladstone emerged with her sanity intact. And her family, including her husband and her two kids, ages 15 and 11, did not resort to wringing each other’s necks. How did they do it? Although the completion of her house was delayed, it did not come as a surprise to the Gladstones because of the good communication with their contractor. It’s the surprises that will stress you out. Here are some other ways to keep your stress level as low as possible as you renovate your home. Don’t just hire a contractor because of a television ad or a sign on a front yard. Call references, get bids and visit your local courthouse to see if your contractor of choice has been sued recently. And when you interview, consider your contractor’s personality. After all, you’ll be working closely with him for a while. No matter how old or young your home, there are secrets lurking behind its walls. And once a contractor taps into those secrets, your costs will go up. Mold, radon, water damage, and plumbing or electrical lines that need replacing all are costs you have no choice but to incur if you want to get the project done. Avoid the “you might as well” trap, Dr. Wish says. You’re putting in a new bathroom, so “you might as well” get the whirlpool tub. Ask yourself: Is this something you really need? Will this tub keep you up at night with worry as dollar figures run through your mind? If so, it’s not worth the stress toll. Contractors are notorious for taking on more than one job at a time. This means you might have a crew in on Monday to put in the floor, but they might not return until the following week to finish the job. And understand that contractors do not have absolute control over the sub-contractors, such as plumbers and electricians. Also, don’t think that just because on TV they can build an entire house in a week that your project should move with that kind of speed. 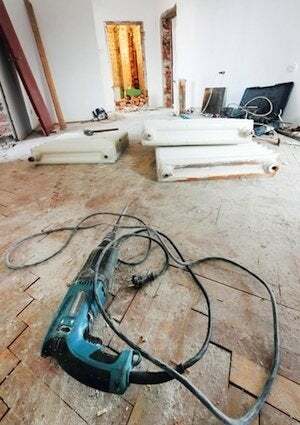 Renovating an existing home can actually be more complicated than building a new one from the ground up, Christenbury says. The signs of stress can be insidious at first: your foot shaking when you’re on the phone with your contractor or your heart racing when staring at a wall full of tile samples, says Anutza Bellissimo, executive director of the Stress and Anger Management Institute in Hermosa Beach, Calif. Unless this stress is addressed, you will react negatively, such as yelling at your contractor or your spouse, seeking comfort in a pint of ice cream or developing sleep-stopping heartburn. If your contractor says a project will take three months, plan for it to take six, Dr. Wish says. 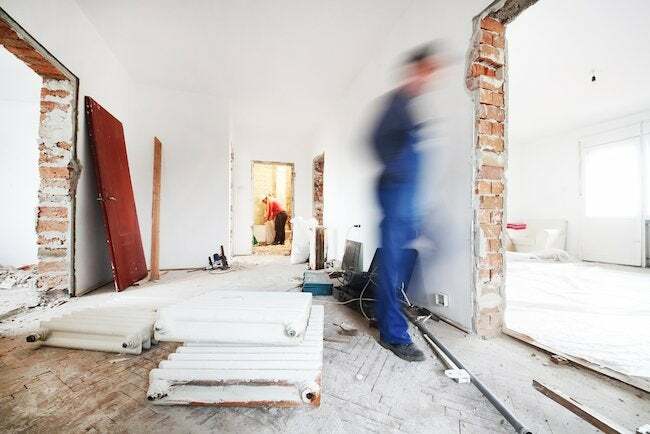 If you are renting a place while your house is being worked on, get a month-to-month lease that won’t have you forced out the door before your home is ready. Moving out of the home while it’s being renovated can also speed the process. This is especially true if by being there, you are limiting your contractor’s access to the home. “A family might not want repairs done on Fridays, or they only let us work after 10 a.m. when the kids have left for school,” Christenbury says, adding that those limitations can delay a project. Another way to avoid the stress of delays is to make sure you are not a cause of the problem. Paint colors, plumbing fixtures and cabinet styles are all decisions you should make before the construction even starts. That way, supplies can be ordered in advance, reducing the chance that shipping and inventory problems will delay your project. Any home improvement project, no matter the scale, is going to come with its own surprises and challenges. But preparing yourself mentally and being organized from the get-go can ensure that you end the process more in love with your home than when you started.